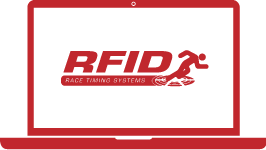 RFID Timing Systems has been providing timing solutions to thousands of clients around the world for nearly two decades. We were one of the very first companies to develop and implement UHF technology into our products (UHF is now the benchmark for event timing). Our hardware is the industry standard and used across the world at the biggest and most prestigious events. Find out more about each of our timing solutions, as well as our comprehensive range of accessories and support products. For those new to timing, or professionals wanting to easily add split timing. The world’s most advanced timing systems for professionals. Our high-performance antennas are designed exclusively for sports timing. Incredible read performance for just a few cents – use our unlocked system. Find all of the tools you need for event tracking, live results and more. Everything you need to complement your world-class timing system.